Can I first say that if Orbit continues to come out with ever stunning covers, my wallet will NOT be happy with me? Anyway, this one sounds epic and potentially very enthralling. Magic, arranged marriages, betrayals, political conspiracy... maybe even a little steampunk? Sounds like it can be fantastic! 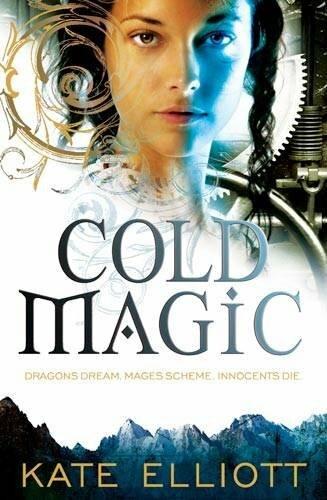 Cold Magic will be published in paperback by Orbit on September 9, 2010. I love the sound of this one, defiantly adding it to my wishlist. I also really love the cover, great pick! I've wanted to try out Kate Elliot's books for a while now since I've seen good reviews of them. Although I'll probably start with her other series. :) My WoW pick for this week is The Ring of Solomon by Jonathan Stroud. OHH One I have not heard about before but sounds/looks really awesome - off to add this to my list of wants! Great pick! Oh, I am in love with this cover. And the summary sounds wonderful as well. Definitely going on my reading list!